Looking out from your lounger, you can see the crystal clear waters as you pass through it. The water is so clear you can get glimpses of the marine life. 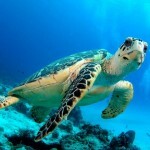 You may even see a Manta Ray, a shark or a turtle as you pass near it. As the Reef Experience nears the reef it slows and you can see the reef. The water is so clear you can not guess how deep it is. You are experiencing what may be a one in a lifetime event, a visit to the outer reefs of the Great Barrier Reef. 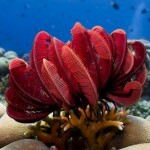 Since it is such a special experience it needs a special tour, the all inclusive MV Reef Experience. 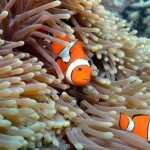 The MV Reef Experience is a day tour from Cairns of the Great Barrier Reef that stands above all of its competitors. This all inclusive day tour includes items that most day tours provide as an extra cost option or not able to provide at all. 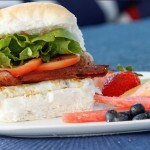 There are many things that makes the MV Reef Experience so extra special. She is a high speed catamaran design that will bring her guest to the outer reefs in under 90 minutes. 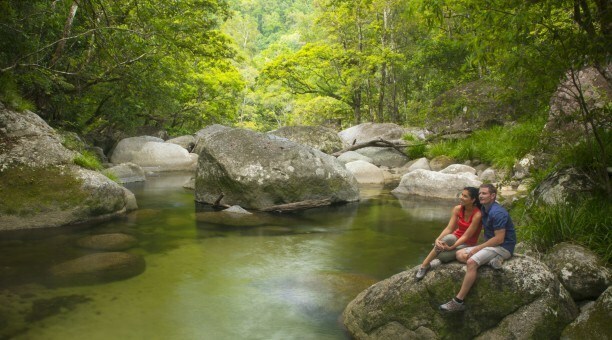 Your day starts with an included pick up at your central Cairns hotel. Boarding starts at 7:20 am and after selecting a wetsuit for the day, a breakfast of bacon & egg rolls will be waiting for you in the saloon. At 8 am there will be a safety briefing and a short class for those who never been snorkeling before. Shortly after the briefings, the boat will depart. Guest can select from staying indoors in the air conditioned saloon or moving up to the spacious sun deck. Once under way there is a marine biologist presentation. The marine biologist will give an overview of what type of marine life the guest can expect on each of the two reefs that the MV Reef Experience will visit that day. 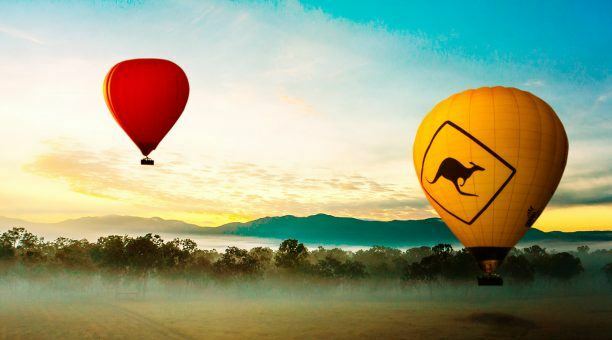 The MV Reef Experience along with the two vessels of its sister companies, MV Reef Encounter and Compass Cruise maintain a number of different moorings on each of five outer barrier reef locations. One of the many sites located around Hastings Reef is generally the first reef visited each day by the MV Reef Experience. Like all the run of the mill day tours, the MV Reef Experience provides snorkeling equipment for the day. 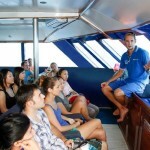 Unlike the other tours, the MV Reef Experience price includes a glass bottom boat tour. This tour is ideal for those who are not just yet ready to get in the water or would like to explore a little. 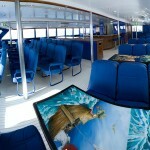 The MV Reef Experience also provides each of the guest a free scuba dive complete with all equipment. This is something that is exclusive to the MV Reef Experience. Guest who are not certified divers have the opportunity to complete a resort course as a part of the daily events. 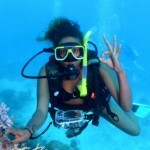 A resort course is a half day program that allows an individual, over 12 and not medically disqualified, to experience the thrill of scuba diving without having to complete a complete certification program. The program has a short instructional segment that includes some of the theory behind the sport of scuba diving. The second segment is a skills portion where you will have some task demonstrated for you and then you will practice until you are comfortable accomplishing them. The third segment is the actual dive with your instructor. This dive has only one major difference between the resort dive and the dive the certified divers can do. That difference is that you as a resort diver will have an instructor within arms reach while you dive. The experience itself and the location is the same as the certified divers. Certified divers, who present their “C” card, will be have the opportunity for an included dive. The scuba diving on the outer reefs is some of the best in the world and our diving guest gets to include it into their day tour. After the morning water session, lunch will be served. 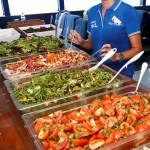 Lunch is a BBQ with delicious fresh salads prepared on-board by the chef. While you are enjoying your lunch and relaxing, the MV Reef Experience is heading to your second reef of the day. When you arrive you will have an opportunity to snorkel on a new reef, and experience more marine life. 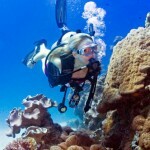 Divers can book a second dive at an extra fee or join the others and snorkel on the reef. Around 3 pm, the MV Reef Experience heads back to Cairns, as she departs the reef, a cheese and fruit platter is served along with a glass of wine. Toast the reef and thank the reef and the crew for an unforgettable day. 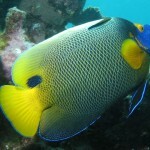 The MV Reef Experience operates daily out of Cairns Marlin Marina. 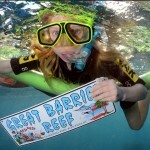 When you are looking for a tour of the Greater Barrier Reef, examine what each operator offers. Look at what included in the price. Read the fine print. While MV Reef Experience includes the tax and marine park fees in the price most other companies collect it at the pier. Few have the resort dive program available and those that do charge a high extra fee, same as the glass bottom boat. When you are done, you will clearly see the MV Reef Experience is the best value.